Much of the discussion regarding the sport of Boxing this week has centered on topics concerning Floyd Mayweather. The first topic of course has been about Floyd Mayweather’s dominant victory in his bout against former two-time world champion Andre Berto on September 12th. A fight, which Mayweather insists was his last. The second topic has centered on the estimates of how many pay-per-view buys the Mayweather-Berto bout generated. 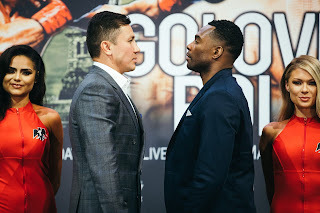 According to several media outlets including Yahoo Sports the pay-per-view broadcast, which was priced at $75 for the high definition broadcast and $65 for the standard definition feed only generated between 400,000-550,000 total buys. Some readers may recall when the Mayweather-Berto fight was officially announced in August that although this observer was not surprised that the fight would be broadcast on pay-per-view, I was somewhat critical of the decision due in large part to the success and increasing popularity of the Premier Boxing Champions series. I stated that it was my opinion an opportunity was missed by CBS/Showtime to give the American public a chance to see the best pound for pound fighter in the world without a pay-per-view price tag as well as what would likely be a guaranteed ratings winner for CBS by putting the bout and its undercard on pay-per-view as opposed to CBS as was rumored in the weeks prior to the fight being officially announced. What seemed to be overshadowed by both the Mayweather-Berto fight itself as well as the criticism surrounding the decision to put the fight on pay-per-view was an undercard that was quite frankly very solid. The broadcast featured three well-matched competitive bouts including two world championship fights. A Jr. Lightweight bout between former Featherweight world champion Jhonny Gonzalez and top Featherweight contender Jonathan Oquendo set the tone for what would end up being an undercard of close battles. After trading knockdowns in the first two rounds, Gonzalez and Oquendo engaged in a hard-fought battle where Oquendo ultimately would earn a ten round split decision in a fight that this observer unofficially scored a draw. A lot of the rounds in this fight were very close and as the bout progressed, I felt Oquendo seemed to outwork Gonzalez. Gonzalez however, seemed to get a second wind in the later rounds and was able to make the fight close when it appeared that Oquendo was starting to build a lead on the scorecards. It was an entertaining battle that one might argue could see a rematch between the two in the future. The same can easily be said about the other two fights that took place before Floyd Mayweather and Andre Berto entered the ring. In a clash for the WBC Super-Middleweight world championship champion Badou Jack in his first title defense scored a hard-fought twelve round split decision over multi-time world title challenger George Groves. Groves was able to survive a knockdown in the first round and to his credit made the fight close due to his ability to work behind a consistent jab and his being the busier of the two fighters. Jack however, was able to win this fight in the eyes of this observer based on his effective body punching down the stretch as I unofficially scored in 8-4 in rounds or 116-112 in his favor. As was the case in the Gonzalez-Oquendo fight, there was some difference of opinion as to who won this fight as one judge felt Groves had done enough to win the fight by only one point. The two other official judges felt that Jack had won the fight by margins of three points and five points on their respective scorecards giving Jack the victory. The co-main event on the Mayweather-Berto card featured a rematch for the WBO world Jr. Lightweight championship between world champion Roman Martinez and former champion Orlando Salido. The fight was a rematch from a competitive battle earlier this year where Martinez scored a unanimous decision to win the title from Salido. The second encounter between the two did not disappoint. It was a battle of Martinez’ ability to use lateral movement and quick hands versus Saldio’s constant pressure and body punching. The two fighters traded knockdowns in the third round and traded momentum right up until the final bell in a fight that this observer felt Salido deserved the decision based on how effective he was in getting to the body of Martinez as I unofficially scored the fight 9-3 in rounds or 117-111 in points. Although my unofficial score may give the appearance of the fight being lopsided in favor of Salido, in reality if one watches the fight round by round as fights are scored on a round by round basis, this fight was very close where I simply felt Salido was able to be more effective than Martinez. It was no surprise to see this fight end in a split decision draw, which theoretically could set up a third encounter between the two. The first two battles between Martinez and Salido will likely be in the running for 2015 fight of the year honors and if a third encounter between the two does take place in the future, I believe it would be a fight that would be welcomed by Boxing fans and experts alike. Unfortunately, it appears based on the estimates of official pay-per-view buys for this card that what ultimately was an exceptional undercard of what appeared to be well-matched battles prior to the card, was not enough to convince consumers to spend their money on this card. Whether the reason for that has to do with consumers feeling dissatisfied following Floyd Mayweather’s fight against Manny Pacquiao earlier this year, a fight that many felt they did not get their money’s worth, or the trend of the sport beginning to be featured more prominently across broadcast and cable television as part of the Premier Boxing Champions series is a subject for debate. Whether or not an official figure will be released regarding how many pay-per-view buys this card generated will be released remains to be seen. In the eyes of this observer however, I believe that what will likely be viewed as a financial failure for CBS/Showtime by putting this fight card on pay-per-view would have been more positively received and a ratings winner for CBS had this card taken place under the Premier Boxing Champions banner. As much as I felt it would be a shame as I stated when Mayweather-Berto was officially announced if what could be Mayweather’s swansong and the end to a great career was largely rejected by Boxing fans, which ultimately proved to be the case, it is perhaps a bigger shame that Boxing fans, who did not buy the card on pay-per-view missed out on a very entertaining undercard that in this observer’s view gave those who purchased the card their money’s worth, regardless of how one might feel about the main event. Will Williams Fight Trout Next?